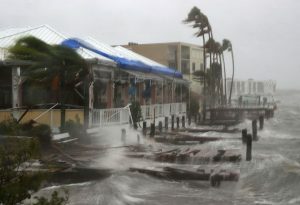 Total insurance claims paid in the state of Florida, due to damage caused by hurricane Matthew, have risen again at the latest calculation, reaching $1.182 billion, and the data suggests there is some way to go before all claims are settled. The Florida Office of Insurance Regulation has provided updates on the volume of claims reported to it by insurers, with the figure rising steadily over time. Now, in the first update since early January when the total stood at $803 million, the regulator has increased its tally by 47% to stand at $1.182 billion. Insurance, reinsurance and ILS capacity providers have all faced claims from last year’s hurricane Matthew, which raked the Florida coastline for almost the length of the state, before coming ashore in the Carolinas. Reinsurance and ILS players have largely reserved for an industry loss in the region of $3 billion to $5 billion, for total damages due to hurricane Matthew across the Caribbean, Bahamas and United States. The loss tally in Florida would appear to align with an industry loss of this size, which will provide reinsurance and ILS funds a little more certainty over their loss expectations. As of the 3rd March 2017 90.5% of hurricane Matthew claims have now been closed. However, it’s important to note that this is just a 6% increase from the 84.6% of claims that were closed by early January, but the loss total has increased by 47%, suggesting that these were higher-value and likely more complex claims. 63,817 claims have now been paid and closed, up from 56,488 in January. So that’s 7,329 claims paid out totaling $379 million, so the average claim size has certainly increased as the insurers move towards the tail-end of the claims burden, where settlements can be more costly and difficult to reach. 11,340 claims remain open, meaning the final bill in Florida from hurricane Matthew will rise further before the final insurance and subsequently reinsurance loss can be fully understood. If these last 11,340 claims were to work out at a similar average cost as those closed and paid since the last update, it would add as much as $580 million to the total, so it is too early to become complacent about this industry loss. Claims have also continued to be filed, residential homeowners claims from hurricane Matthew now number 101,454, with 55,576 closed and paid out, and 93.1% of all residential claims now being closed. On the commercial side, there has been a significant increase in claims filed for commercial property losses, which could explain some of the increasing value of claims closed, as commercial claims tend to be more costly. 6,698 commercial property insurance claims have now been filed due to hurricane Matthew, but still only 56.4% have been closed, making this segment the slowest to be paid and closed. Commercial residential are the next slowest segment, with just 57.7% of claims closed down. So it looks like the total insurance industry loss in Florida could rise further, as these remaining claims and particularly the commercial segments are settled, paid out and closed down. Unfortunately no further updates on this claims data are going to be provided by the regulator, as this is the output of their final data call to insurers operating in Florida. Reinsurance capital has already paid for a significant proportion of the loss from hurricane Matthew, including through capital market investors in some ILS funds also some reinsurance sidecar vehicles which have exposure, although largely attritional given the scale of the loss. However with a significant number of commercial claims to settle and the recent cost of claims being settled rising, it does look like the final total will be closer to $1.5 billion for the hurricane Matthew insurance loss in Florida.